The Switch team made up out of online security experts came together in 2015 once it became clear that internet freedom was under threat and decided to provide online users with a powerful VPN app that could give back their freedom. SwitchVPN offers an easy to install VPN service that keep the internet free via tablets, mobile phones and desktop, and this powerful VPN constantly upgrades its outstanding features and security. It is one of the most powerful when it comes to a VPN giving back internet freedom to individuals around the world, SwitchVPN prevents all spying from governments or ISPs, supports P2P, ensure everyone has access to their favourite websites and prevents hackers from gaining access to your data and passwords. The VPN service provider keeps no logs, offers an easy bypass of ISP bandwidth throttling, super-fast VPN speeds, including high-speed streaming of films and increase security during the use of public wi-fi hotspots. SwitchVPN wants every internet user to enjoy complete freedom and offers its clients the same freedom via its 30-day money back guarantee, should the service be cancelled within a period of 30-days, a full refund can be expected without any questions being asked. So basically, by trying the safety and security offered by SwitchVPN, there are lots to gain and nothing to lose. One of the biggest benefits is, while users enjoy robust security and protection there is no limit on the bandwidth, which means no limit on streaming movies, playing games, or downloading files. Switch plans can be upgraded or downgraded at any time and support is one click away via the 24/7 online chat service. SwitchVPN is one of few VPNs that offers both freedom and safety in the toughest places around the globe, which includes China. The technology behind such a powerful VPN is its high-security DNS system that provides individuals best in end to end security. SwitchVPN is built on a network of well over 145 terrifically fast servers placed in 35 different locations aound the globe. For security conscious people around the globe, SwitchVPN is the ultimate choice due to its range of exceptionally high quality and reliable features including an always active international server network, while its robust security system includes both virtual firewalls and 256-bit SSL encryption. As you would expect of a VPN service, SwitchVPN guarantees that zero logging takes place and users have access to all VPN protocols. The VPN offers top security across all devices including laptops, desktops, tablets, as well as mobile devices and one subscription allows connection to the VPN service via five devices simultaneously. What stands out is the multi-gigabit speed during gaming and streaming and with free IP switching watching your favourite programs are never a problem. Assistance is available 24/7 and offered by experts to ensure users get the most out of their free and safe online experience. SwitchVPN clients can select from several encryption options available, which includes 128-bit Blowfish used for data stream encryption, while for handshaking the VPN offers RSA-1024 with a 201-bit static key and OpenVPN offers 256-bit encryption, which is also the default. Switch also offers IP/Sec/L2TP in addition to OpenVPN, and for users residing in China, SSTP protocol is available, which is the ultimate solution for countries where VPN technology is blocked. All protocols come with DNS Leak Protection. 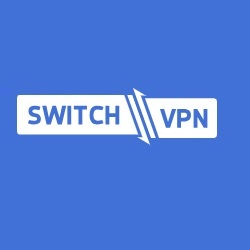 While many other VPN service providers also offer dedicated or static IP addresses, SwitchVPN focusses on share IP addresses across all its gateways, which means each gateway offers its own IP addresses since it has no effect on the performance of the VPN and at the same time provide more privacy when compared to dedicated IP addresses. One of the main concerns for VPN users is that no logs should be kept on their activities and SwitchVPN has a Zero Logging Policy in place and guarantees that they keep no records on user’s VPN usage. One of the greatest benefits is that SwitchVPN allows new users to first test and discover its security benefits via a 3-day trial period that offers full free access. The VPN service provider also offers a 30-day unconditional 100% money back guarantee, and by simply cancelling the subscriptions within 30 days via email or live chat money will be returned without any questions. SwitchVPN accepts payments via a variety of options including Alipay, Bitcoin, PayPal and credit cards: Discover, American Express, Visa and MasterCard. SwitchVPN understands that VPN services are required by all individuals, which includes both computer experts and casual users. Therefore the VPN provider kept the set-up as uncomplicated and user-friendly as possible. The first step in setting up is the selecting from four platforms including Android, iOS, Mac and Windows. SwitchVPN tutorials include easy set-up manuals for Windows, Mac, Android as well as iPad and iPhone, while VPN server address & OVPN file set-up manuals include the PPTP/L2TP VPN and IKEv2 address lists and the OVPN – OpenVPN configuration files. Other manuals include DD-WRT router PPTP VPN setup, Chromebook L2TP VPN, OpenVPN on Netduma R1, Asus router, and Belkin router VPN setups. Additional tutorials are also available on how to set up VPN for BitTorrent, how to securely watch Netflix. When it comes to overall performance, SwitchVPN impressed in both DNS leak testing and speed tests. As expected no leaks were present during several tests while downloading and uploading speeds did differ slightly depending on the destination of the VPN server connected to. Yet, the overall upload speed during numerous tests reached an average of 5.53 Mbps while the download speed is around 33.90 Mbps. SwitchVPN offers an array of excellent benefits, and its popularity is due to its well-designed apps, solid performance and fast speeds. Getting started with any VPN service could simply not get any easier than this and SwitchVPN’s DNS technology offers complete freedom and top security to individuals around the world. Outstanding expert support is provided around the clock, security is offered via a virtual firewall and 256-bit SSL encryption, and one subscription provides VPN coverage to up to 5 devices. New users get to test the benefits via a 3-day free trial period while all packages offer a 30-day money back guarantee. Secure your laptop, iOS / Android, mobile device and desktop within seconds, to enjoy increased security when using wi-fi, while the VPN is P2P and Torrenting friendly.